Xiaomi launched black shark series for the gaming enthusiast smartphone user. 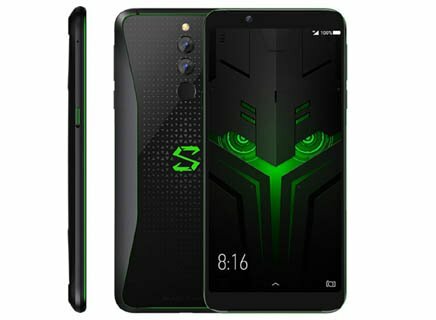 Its Xiaomi Black Shark 2 newly announced in March 2019 comes up with 6.39 inches AMOLED capacitive touchscreen having Vivid True-view accurate display system. It is built on metal with shaped folding glass for comfortable grip with maintaining the aesthetics. The screen touch response time is only around 43.5ms bringing smooth gaming experience. Its Magic Press technology senses the different strengths of the finger pressing on the screen to realize the 3D touch function helps in complex operation in the game. It has powerful stereo sound from the front double speaker enhancing the music experience. Interestingly it has Dual primary camera setup 48+12 megapixel which can take quite good photos in different environmental condition. 20 MP single camera is fixed in front for the taking selfies and video chat.The advanced Snapdragon 855 along with 12 GB RAM offers an flagship configuration that can run all the heavy games without any glitches. The AI game engine optimizes the processing and battery consumption efficiently. To counter the heating issue while playing the heavy games it is featuring "Mobile phone third generation liquid cooling system" which can turn down temperature up to 10-15 degree celsius. There is 4000 mAh battery which offers a decent battery backup. The power management is also controlled by the AI which can utilize the charge efficiently. Phone supports 27W high voltage fast charge where you can play half hour game by just charging for 5 minutes. Immersive AMOLED capacitive touchscreen with 100% DCI-P3. Camera support 2x optical zoom. Mobile phone third generation liquid cooling system for better gaming experience. Best smartphone for the Gaming. Dual Stereo front facing speakers. There is no slot for external SD card. FM radio is not supported. No Gorilla Glass protection for the display. There is no 3.5mm audio jack for the headphones.